This jacket is fully certified to EN 13034 and offers excellent upper body protection against chemicals. Constructed in a superior polyester cooton fabric which is treated for ultimate durability. Features include a secure stud front and a concealed mobile phone pocket. This range of Chemical Resistant garments has a treatment applied to the fabric, which provides superb liquid chemical resistance protection. 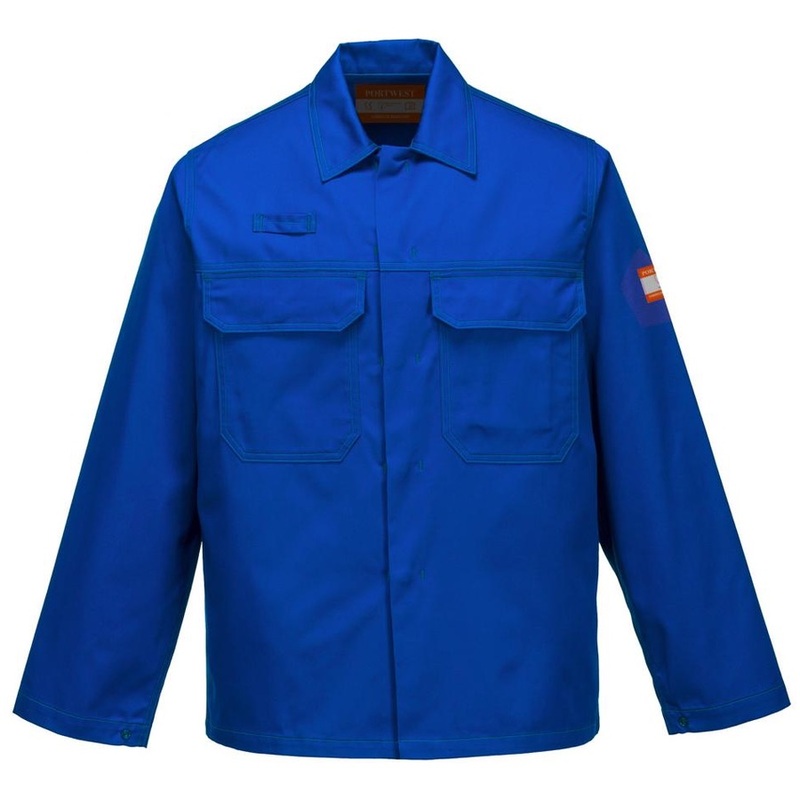 Enclosed pockets and covered fastening ensure corrosion does not occur. These EN certified styles give top performance and outstanding protection to those working in industries exposed to liquid chemical hazards.